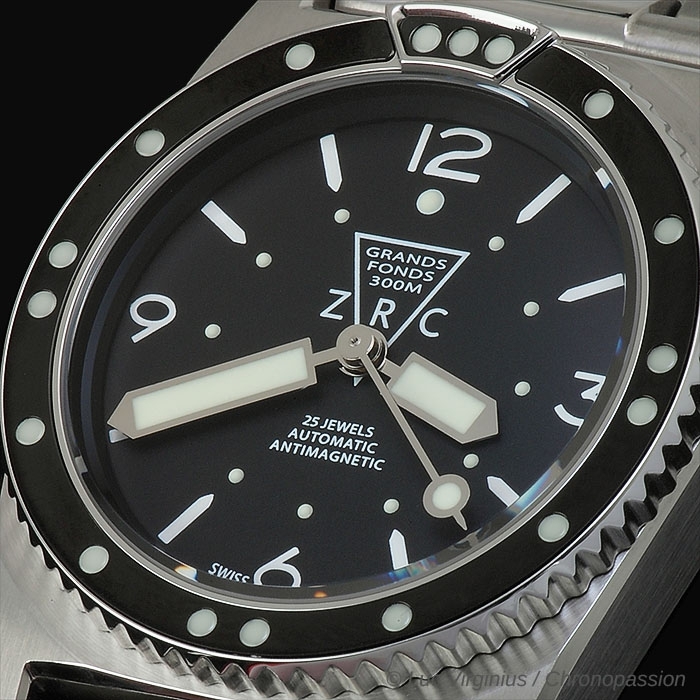 ZRC affects the "Grands Fonds"
The ZRC watch is part of the very closed circle of deep-sea wristwatches from which it takes its full name, "ZRC Grands Fonds 300". This figure, 300, indicates that this model can descend to a deep water dive at 300 meters, i.e. for divers of the national navy, or even deminers. 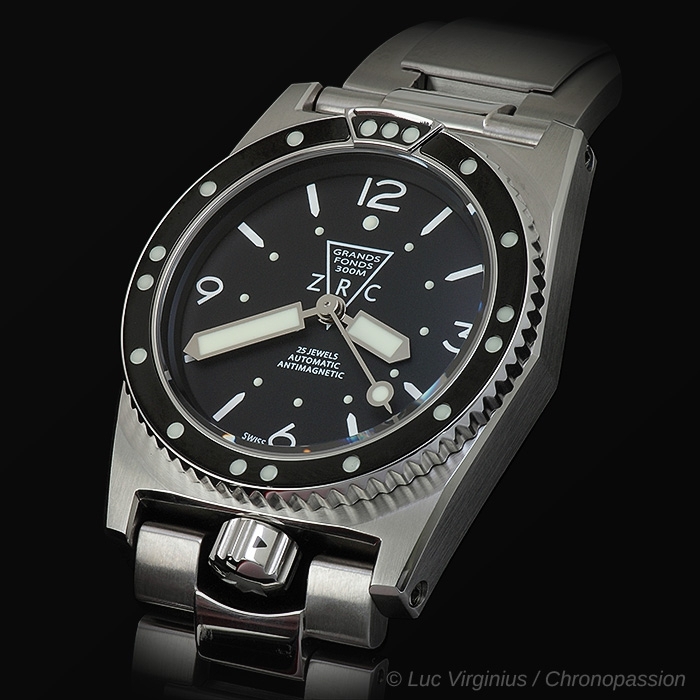 And if not all divers have the rank of the French Navy, it is always appreciated to have on their wrist in the ZRC Grands Fonds wristwatch a model capable of resisting high water pressure. 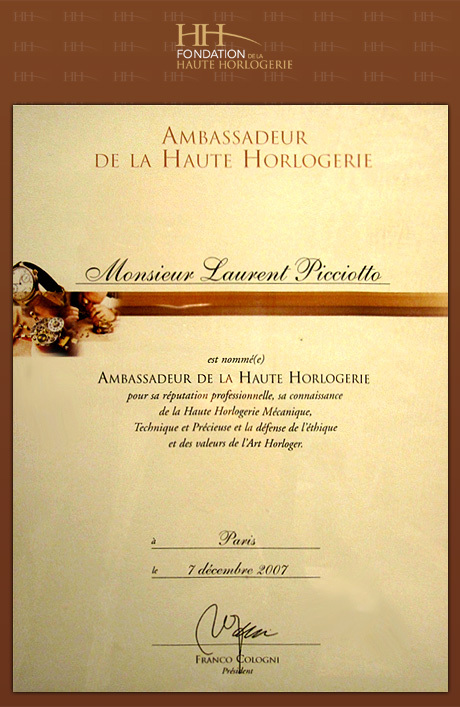 However, this mastery was acquired at the cost of many technical developments by ZRC. 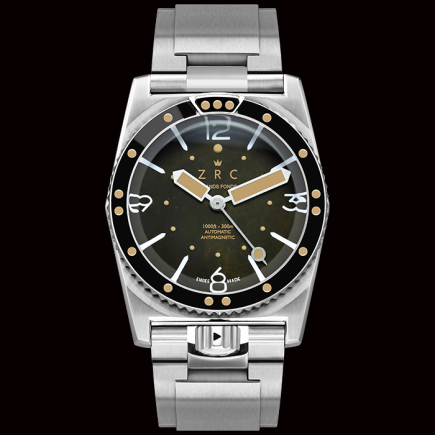 ZRC watches, with their crown logo, have always developed a unique system that, at a very reasonable price, allows each model to go down to the bottom without fearing for the integrity of the movement or dial. 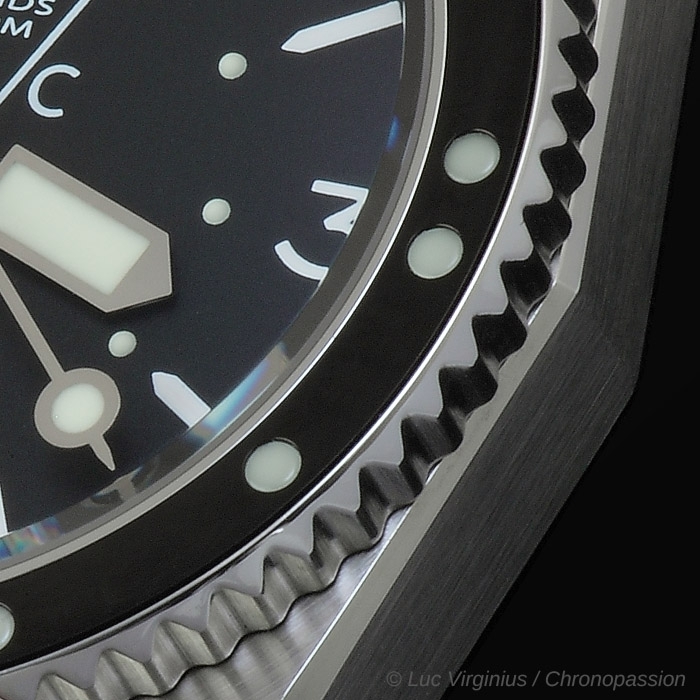 This ZRC system is that of a crown at 6 o'clock which, if not properly screwed in, prevents the watch strap from being properly closed. 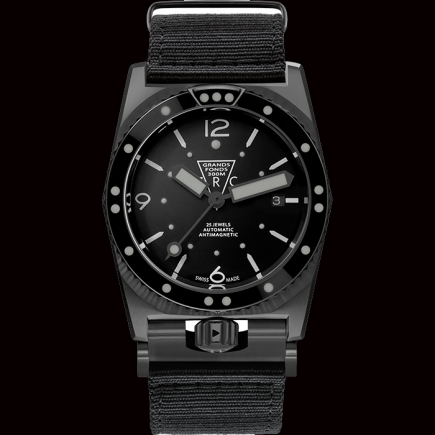 Divers, amateurs or members of the French Navy, are therefore certain with this system that they will always have a watch with a perfectly waterproof case. 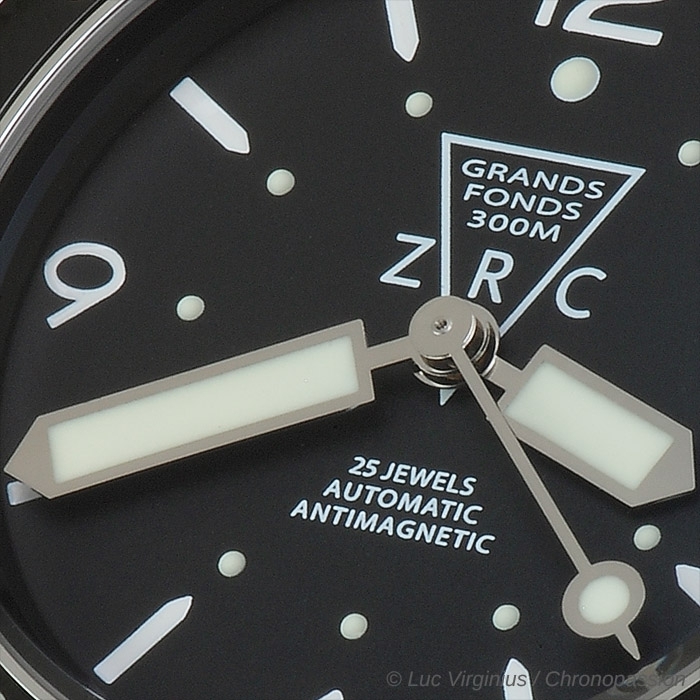 This system is not specific to the ZRC Grands Fonds 300 wristwatch model: it is found on all watches from the brand to the crown, each model being intrinsically designed for deep-sea divers. 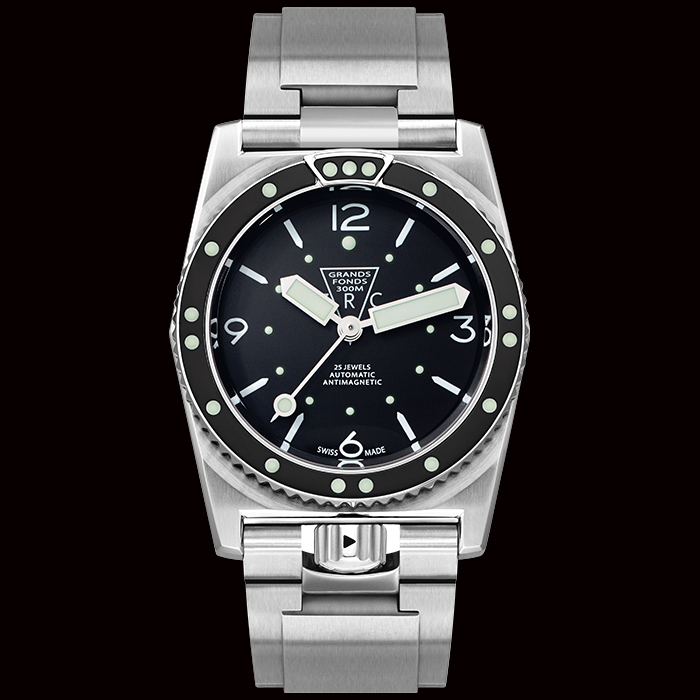 This exclusive system is not specifically that of a luxury watch, but it gives the stainless steel acerbic case certain aesthetic originality. 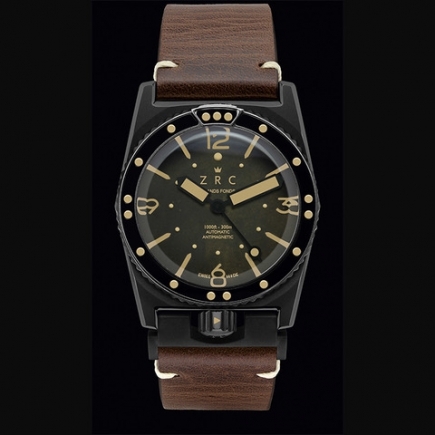 The price of the ZRC Grands Fonds watch is not the same as that of luxury watches: it is the price of an atypical, captivating sports shock watch, to which the divers of the French Navy have given its letters of nobility. 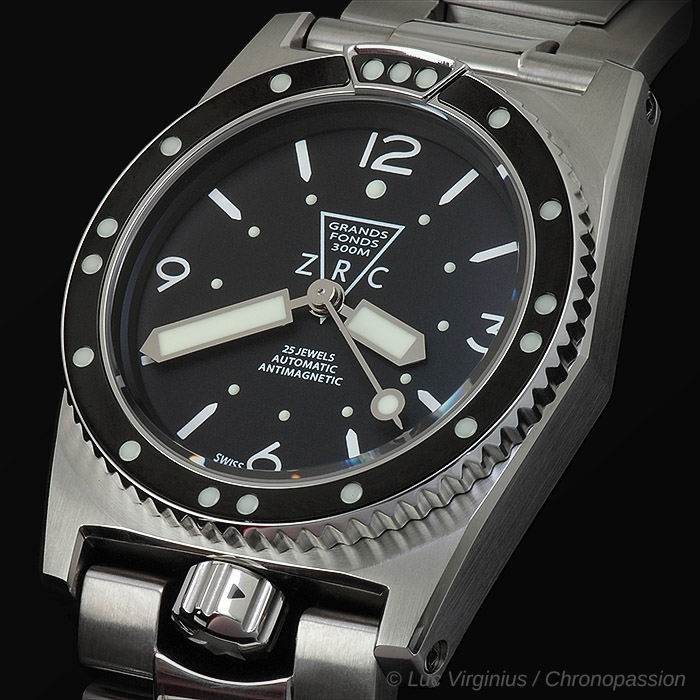 The ZRC Grands Fonds 300 watch model has another system that gives it another advantage for deep-sea diving: an exclusive system that, above the stainless steel case, allows the bezel to be cleaned with plenty of water by divers. This bezel covers its 40 mm diameter stainless steel case, contributing to the sporty chic dimension of this model at a very reasonable price, without necessarily tipping over to a very large diameter case that a modern diver's watch model can often display. 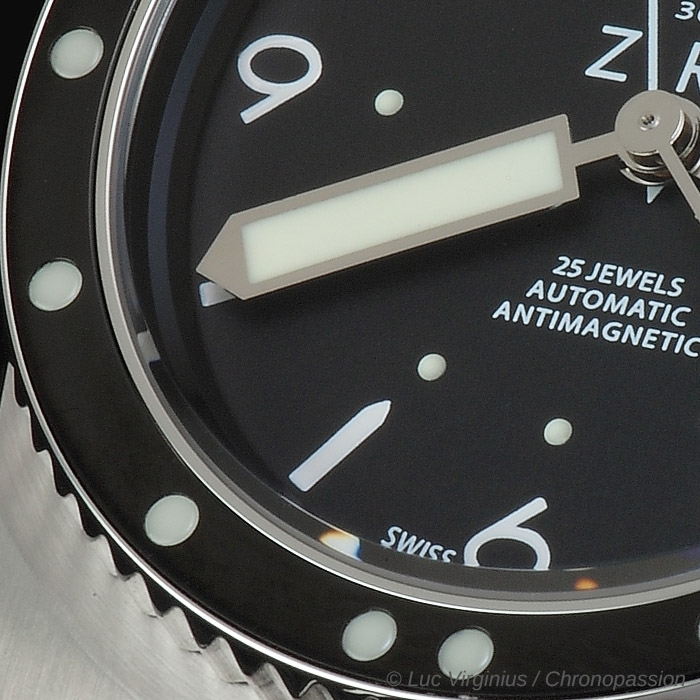 Nevertheless, at the price of a highly studied dial design, the ZRC Grands Fonds 300 wristwatch offers exactly the same readability for deep-sea divers as more modern watches. 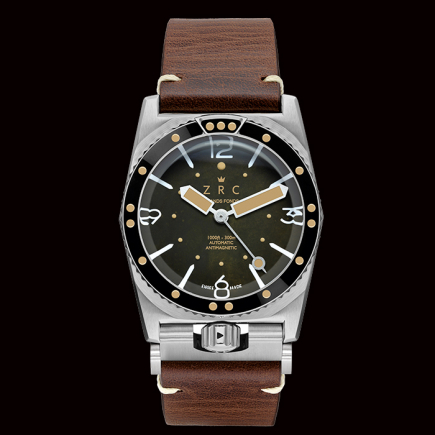 In the end, the ZRC Grands Fonds 300 wristwatch offers all the advantages of a sporty chic watch, the technical benefits of a model softened by divers from the French Navy, with the price not of a luxury watch but the right price, a perfectly studied model from case to dial, from bezel to diameter, from crown to bracelet. The monobloc stainless steel of the case guarantees the ZRC 300 Grands Fonds 300 watch exceptional durability, even when used in deep water by experienced divers or even deminers. 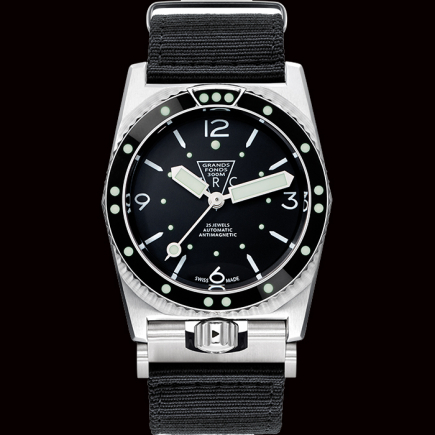 The ETA movement gives this watch perfect precision, while its "Made in France" spirit makes it unique both on the wrists of divers from the French Navy or deminers and as a collector of exclusive luxury at the right price. The new Great Bottom has an automatically adjustable strap that allows it to be worn over the wetsuit. 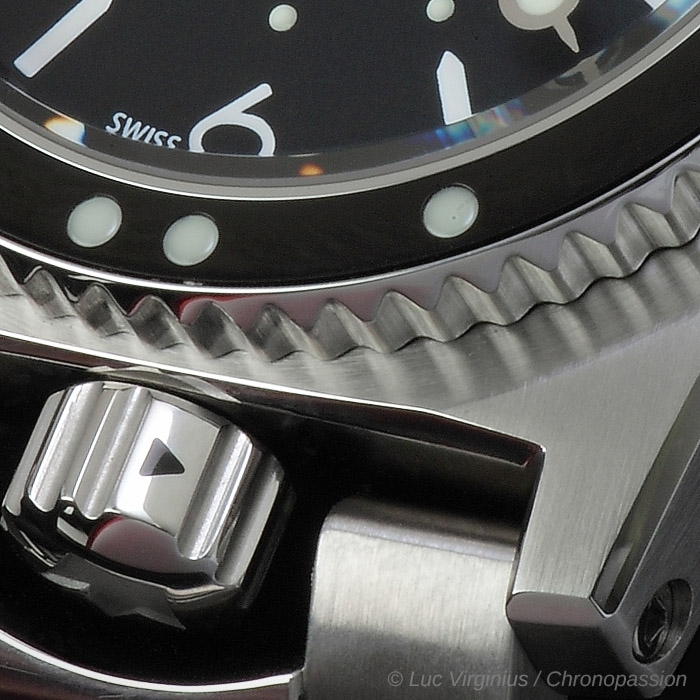 This unique spring system embedded in the mass automatically adapts to the diameter of the wrist and provides unequalled wearing comfort. 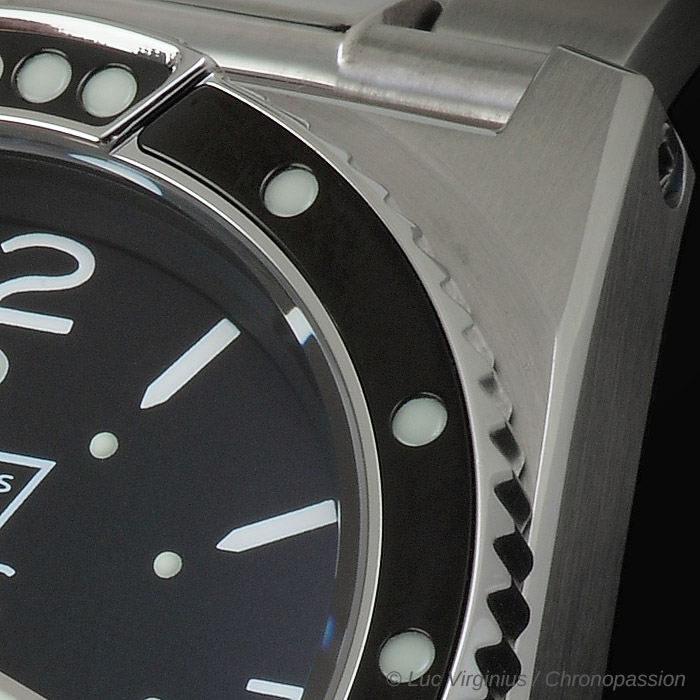 No adjustment, the two meshes on either side of the case extend to adapt to the new diameter. At the same time, the exclusive "plunger" clasp, also from the original Great Funds, was revised and corrected. More supple, precise and safe, it is better finished and more pleasant to wear.